Skier size: 6’0”, 185 lbs. Getting into the backcountry has been my primary focus in skiing since I was in middle school in the mid ‘90s, and I was immediately drawn to telemark gear as an inexpensive way to start ski touring. Since then, boots and skis have improved dramatically, but I’ve always felt like tele bindings were lagging behind. Starting with three pins, then Rivas, Superloops, Pitbulls, G3’s, Cobras, Bombers, Linkens, O1’s, multiple versions of NTN Freedom and a few more, I’ve skied them all, and have owned most of them. Based on this experience, I think the NTN Freedom is among the best overall bindings to date. Prior to the arrival of my NTN Freedoms, I had toured off and on for three seasons on the NTN Freeride. The Freeride skis well, but its poor touring performance very often made it an easy decision to leave the teles at home and grab some Dynafit-equipped skis. Not only does the Freeride weigh 2,010 grams per pair, but the touring range of motion maxes out around 30 degrees of heel lift. But even more frustrating was the substantial amount of spring tension when raising the heel, even in tour mode. On a hard skin track, the extra resistance was just an annoyance, but breaking trail in fresh snow or kick turning could be exhausting. The Freedom binding addresses all of these issues. As Kate mentioned, weight is reduced by about 25% to 1,500 grams (3 lbs. 4 oz. ), which is a noticeable difference both in your hand and on your feet. The increased range of motion (ROM) makes longer strides on flats easier, facilitates better kick turns, and allows the efficient use of the heel risers. Skiers who utilize really long strides and big steps while climbing might find the Freedom’s ROM limiting, but I prefer a shorter, more compact stride while skinning on any kind of equipment, and find that the current Freedom ROM is adequate. Heel lifters on the NTN Freedom are adequate. They flip up with a ski pole handle, and I haven’t had any trouble with them collapsing. They are a little more fidgety than the TwentyTwo Designs-style, spring-loaded heel lifter, but with a little practice, they work great. Unlike Kate, I do like having two climbing heights, which, again, is something I’ve grown accustomed to from using tech bindings. The resistance to heel lift in tour mode is still present in the Freedom, but is much reduced compared to the Freeride. And like the Freeride, it does seem to depend on the pre-load settings of the springs. I’ll discuss spring tension more below, but I run my Freedom’s with blue springs at about four or five (out of five) most of the time, which is about the maximum tension possible. 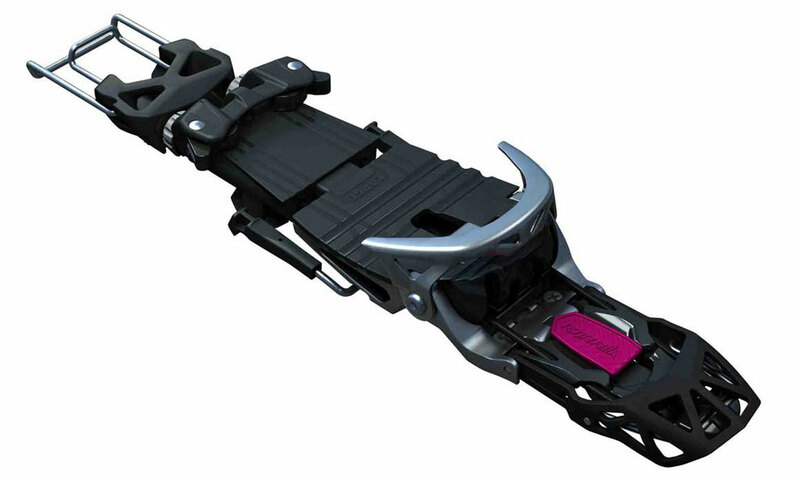 The heel lift tension is notable compared to a completely free-pivot binding (like a tech binding), or the Black Diamond O1 or TwentyTwo Designs Axl, but is not particularly cumbersome in the skin track. During a long day of ski touring, it’s a little more tiring and less efficient than a true free-pivot, but even breaking trail in light, soft snow is only minimally more taxing. For the sake of testing, I backed off the springs (which can be done in a minute or two by hand, without tools) to two out of five on the blue spring power box, and noticed considerably less resistance when climbing. After hundreds of days of skiing on tech bindings, I have come to appreciate having the pivot point as close to my foot as possible when skinning. When demoing skis with Fritchi’s, or using 75mm free-pivot tele bindings like Axls or O1s, I immediately notice the tippy-toe feeling when climbing. This may just be personal taste, but the pivot location of a tech binding feels more secure on icy sidehills and more comfortable overall. The NTN Freedom is the only tele binding that approximates the pivot position of tech bindings, except for the Telemark Tech System, which utilizes an actual tech toe (and I have not yet skied). The boots available for NTN and 75mm also have an affect on touring performance. When comparing the NTN Freedom (3 lbs., 4oz.) to 75mm tele bindings with tour modes, such as Axls (4 lbs) or O1s (3 lbs., 12 oz. ), it would appear that the weight savings are modest. And yet, it is important to note that NTN boots are one to two pounds lighter per pair for comparable models in the SCARPA line. For example, the SCARPA TX-Comp weighs 7 lbs., 8 oz. per pair, while the equivalent 75mm boot, the T-Race, is 8 lbs., 12 oz. in the same size. That comes out to 12 lbs., 12 oz. for the Axl/T-Race vs. 10 lbs., 12 oz., or one pound less per foot. To me, that’s a big difference during a long day of touring. Hey great review. Any info on changes to the NTN Freedoms for the 2013/2014 season? Hi Bill, Thanks for reading! As far as I know the Freedom will be unchanged for this season. The Freeride got a new color scheme but also appears mechanically unchanged from last years version. I am looking for a NTN binding for my new touring ski. I actually ride the NTN freeride and this binding is awesome. So I started to read about the freedom, the lightest version of the freeride. I found some reliable issue from some customers like; short elevators kept on collapsing, consistently the bindings pops up into touring mode when descending and the lever pops out of position when fastening the binding a bit too easily. So should I stay with the freeride, witch seems more reliable, or the freedom might do the job as well. Thanks again for all your great review. Thanks Paul (and Kate) for the reviews. Do you know of any NTN boots that would be a bit more relaxed, more of an all-day touring boot? I’ve got Prophets and like them, but I would love a lighter weight, more comfortable boot for all day stuff, even though it means losing strength. 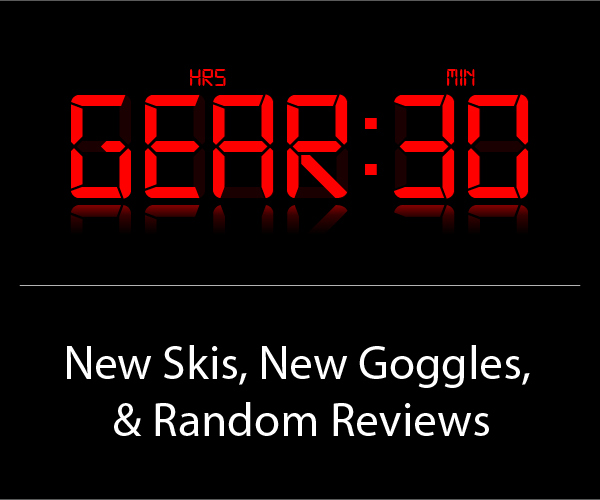 Nice review, but you guys should all switch to a telemark tech (tts) binding. The weight is nothing! 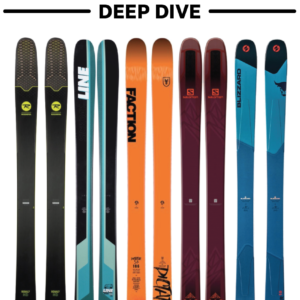 Combine a dynafit tow (you can buy them online from a split board company) and take a old G3 wire and then buy the conversion kit from Wasatch Ski Distribution. The system totally works and it is very powerful. And of course the super light weight makes it a dream for touring. The telemark companies have really lost their way on that one – not sure why BD and G3 don’t make a version but surely it is coming. Enjoy the turns! I tried telemark this year first time a couple of times, and I will like to buy the right equipment. As I used to use touring ski and boots, do you think it is even possible to use a common ski mountaineering boots like mine tlt5 with the telemark tech (tts) binding? more weight = better workout = better fitness,strength and health. unless you are counting micro seconds in an Olympic medal competition, man up and stop counting ounces. Unless you are the least fit of your group, you need more weight to keep yourself challenged and not bored. If you’ve come to Tele, you must already know that harder is always better than easier, in every aspect of life! If you want it to challenged go higher and further, don’t go heavier. Training at home is a workout, climbing a mountain is an adventure. The TTS isn’t smooth as the Freedom on the downhill. I have both, and really don’t like the TTS feeling. Francesco, you still need a boot with bellows above the toe so it can flex to allow you to stay on the ball of your foot. Scarpa makes the TX pro boot with tech fittings. That’s the one I use. I’m not sure about the other manufacturers. Mike K, I have tested the TTS with Scarpa Tx (orange, very soft version) and both switchback and switchback X2 springs, various pivot points, even Scarpa F1… I can’t find a setting that has enough tele spring engagement and a smooth flex. Whereas the NTN Freedom is very smooth out of the box, and a real bliss on the down. I think the TTS needs longer and softer springs. For long alpine touring, I’ve switched to 100% tech bindings until a very light tele binding that I like is released. Just completed 6 days touring in the Pyrenees and the real problem with these bindings is that you can’t fit ski crampons which are really essential on steep icy slopes. I’ve used them now for over a year and they have never released which is a bit unnerving. I think I’ll be switching to Dynafits before I do anymore serious tours. John, just switch to TTS. If you use the dynafit toe it takes crampons. It has release on me when i have needed it. and of course as you know with dynafit, you can lock and unlock the toe as you wish. SO if you are doing a soft bowl, but are worried about it sliding, then leave the toes unlocked. it won’t release in powder unless you hit a rock or death cookie. But if you are doing a gnarly couloir, you can lock in. I usually keep it semi-locked in the first click. and it has release if i bail hard. Thanks Mike, just to be clear I was referring to NTN bindings. I’ll check out the TTS then if it can take the Dynafit toe. To be fair to NTN I do find them a lot more stable than my old 75 mm and no problems with getting in and out in deep snow. Getting in on a gradient however is tricky. The real disadvantage of the NTN is inability to take a ski crampon. Lack of release even though I’m using the correct spring setting is worrying. I’ll be seeking advise on this from Rotefella. I’m using Scarpa Terminator boots which I love and are Dynafit compatible. Thanks for the great review. As is understandable, much of your review and most others discuss the advantages of the Freedom over the Freeride for touring and going uphill. For several reasons (time, alpine skiing friends, wife concern about avalanches), my telemarking is done 100% at lift serviced resorts. 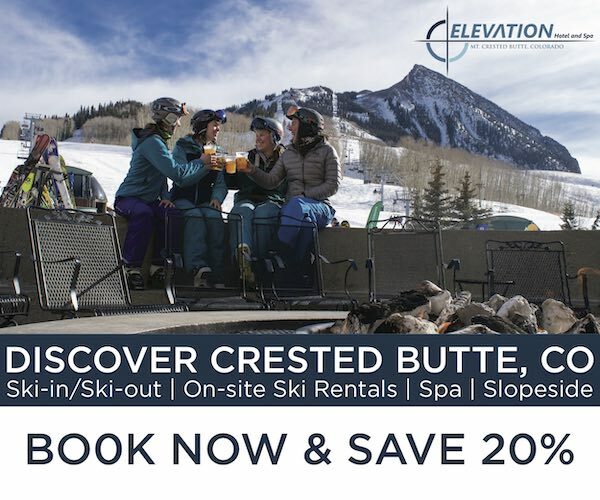 So the question is if you were only going downhill on them in resort conditions – powder when available but otherwise crud, bumps, glades, chutes – and mounting them on regular alpine skis (likely the Blizzard Bushwacker or Bonafide), would you go Freedom or Freeride? Rotafella seems to push the Freeride for that purpose, but you comments about increased range of motion, equivalent edge hold, and perhaps increased reliability indicate that you might think Freedom is better. Swappabity across skis is not that important because you can do that with either binding using quiverkillers. For resort use only, I would definitely use NTN Freeride. 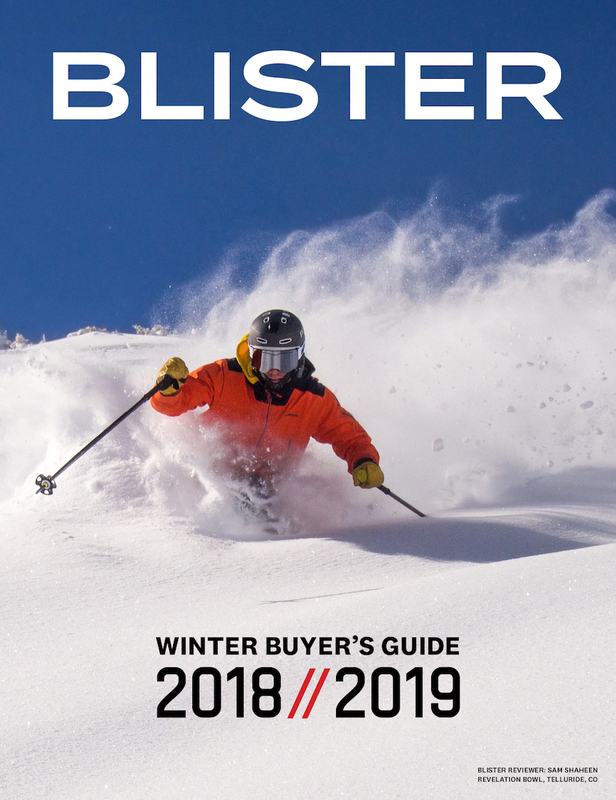 There’s more torsional stiffness and available spring retention than the Freedom that make them more suited to drive big skis on icy slopes and hard snow. With the Freedom on blue #4 (one notch more than the average setting for my weight/boot size), I can’t get the same power from the binding to the ski. The Freedom might be easier at first, or have a more “traditional” feeling for telemarkers coming from a 75mm setup, but that’s it. BTW, you can get ski crampons for the Freedom at B&D ski gear. 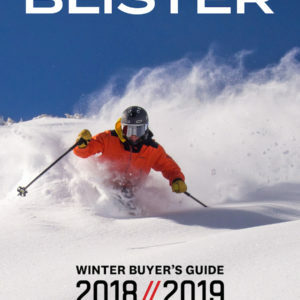 As someone who has skied and toured Rottefella Freedom and Axl during the last southern hemisphere season (NZ), plus neutral and laterally rigid bindings in earlier seasons (Linken, Voile VPII), I just want to reinforce for other readers that your review is an accurate assessment in my opinion. How did you like those orange crispi evos? Im a an ex apline racer getting some ntn gear together and already have a pair of freedoms mounted on some BD megawatts. Found a great deal on those same evos you wore for the review but have heard lots of complaints about stiffness. Any insights? Im 6′ and close to 200lbs, aggressive skier, so im thnking a used pair might not be too stiff for me. Cheers! Hey Tanner, Thanks for the message. Yes, I think you’ll like the orange Crispi Evo’s. I’ve had 2 pairs of them and I think that a skier our size should have no trouble flexing the bellows. I think you’ll dig the extra power. Good luck and let us know how it works out for you. I have to disagree completely with the assessment that these are durable. They are not even ready for prime time yet, and should be considered a beta release. I have had them break on my twice in less than 20 days. I’m 6’3″ 220 and a super aggressive skier, but I only had my old voile hardwires break on me 3 times in a decade of skiing on them. The first breakage, a plastic piece under the tow broke and fell out while skiing bumps at breck, and I was unable to get my boot out of the binding, having to walk back to my car in my sock. After the super crappy customer service, I finally got a replacement binding from Rotte after 1 month, and skied them 5 days and the binding broke into about 12 pieces while skiing down the highlands bowl. Also, the lever for switching from tour mode is super unreliable and pops into tour mode quite frequently. Finally, they have designed this binding with so many nooks and crannies that the binding is prone to icing up all over the place, not least of which is the tour mode lever. When they work, I agree, they are a great backcountry setup. But think twice about trusting them deep in the backcountry. I had the same problems as you. I used them in spring for easy skitouring and they were OK. But next fall, when I used them on hard slopes, already the first day of skiing, I broke the plastic piece that stops the bindings touring mode. I had them replaced quickly, but I broke them just two skidays later again. This binding might be OK for lightweight touring, but not for skiing aggresively. In the end, they just ruined my skis since I had to drill them twice. Since my last comment, in Sept 2014, I had a slow crash with the Freedoms, they didn’t release, and I broke my ankle. Click my link to read the full story. The B&D crampons work very well with the Freedom, with one important caveat. 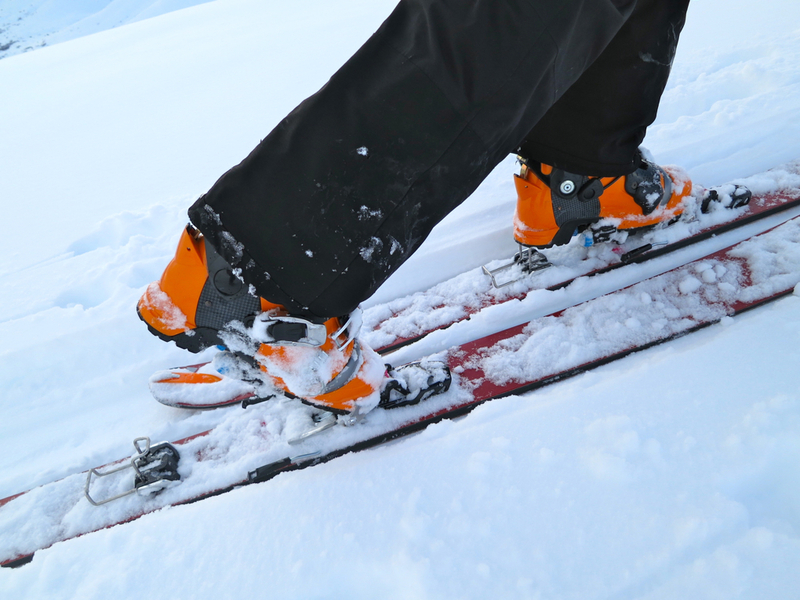 While striding, depending on factors such as length of boot, position of crampon hinge, etc, you might find that the rear of the crampon nicks the spring adjustment knobs, every stride you take. This happened to me, and eventually, far from civilisation, the knob was leveraged off like a bottle-top, and all spring tension lost. By a miracle I found the knob back in the ski track and it popped right back on. The solution is to grind a piece out of the crampon so it doesn’t catch. To bench-check for fouling between crampon and binding, you must have the boot clamped in the binding in tour mode. The Scarpa TX is my first plastic boot and Im totally impressed. Is it possible to just lift the release mechanisme while we are falling? Sounds like a fair stunt? Got the Freeride binding (2148g) and Stormrider DP Pro 184 ski (4100g). I enjoy the high speed stability from the weight! Hey folks. 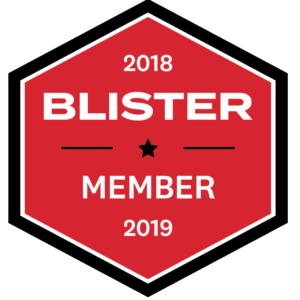 I am new to Blister, so greetings everyone. Question regarding NTN Freedom. Does anyone experience a slight resistance in tour mode. I feel it on the bench cycling the binding in tour mode with boot installed by hand. Not so noticeable when actually touring. However , if I feel it while bench testing, the resistance is there. Just curious if I might have an adjustment issue or whether it is normal. I am using blue cartridges’. I am gravitating back to the Freedom due to continued frustration with my 22 designs Outlaw set up relative to the finicky step in action of that binding. Was working just about decent without brake installed and was trying to really be optimistic and like it ( brake is an absolutely terrible design and should not be offered until it is refined more, IMO ) , however, I have had it . Not fun when transitioning after a long tour / climb! !Really not at all. So , before I return to 75MM as my primary set up ( Oh how I miss the simplicity and functionality of my Voile Switchbacks ) wanted to give the Freedom another go. Hi TA1, yes the slight resistance in touring mode is normal. Presumably this does soak up a little striding energy, but I don’t think anyone has ever complained that they have noticed it in practice. I certainly haven’t. I’ve gone the opposite way to you and gone to Outlaw, to get the classic 22 Designs heel retention power, which I enjoyed with the Axls. I don’t have the brakes. Due to going to AT bindings the last couple of years, I haven’t used the Outlaws enough to offer feedback. Thanks for the insight Peter. Yeah, after a more thorough reading of an Earn Your Turns and the Blister review on the Freedom , the reviewers do touch on the resistance that still exists with the Rottefella design. Not a big issue for me, just wanted to be confident that it was not a defect in my bindings or poor adjustment, etc. Regarding the Outlaw, I really like how it skis. I just find it overly awkward to get into and out of the binding. Also, for my tastes, I find it a bit heavy and clunky to tour with as compared to my Voile Switchbacks or a tech toe AT set up / Dynafits . The Freedom lags behind a Switchback binding or a Dynafits set up for touring in my opinion as well. Although I have both an Outlaw and Freedom option, for long days of touring and backcountry skiing, my Voile Switchback set up is still my go to rig. I’ll grab the Outlaw or Freedom set ups for resort / lift served side country days where I don’t have to worry about any uphill/skins transitions ,etc. . Anyway, hopefully 22 and RF continue to refine their designs. Always great to see innovation in the Tele segment. This thread is amazing! Wealth of experiences; really useful. Just done a short tour on Freedoms, in appalling British (!!!) conditions. Serious freezing issues between tour and Tele mode, and in general. Had the same issues in Verbier. Both times had to take the skis off to hack free (family had to cut me out off the ice in Verbier). Not fun in blizzard conditions. Potential solution is the old one of pre-spaying with WD 40 or similar. Am going to try the new French Meidjo, but suspect that all bindings will freeze up to some extent; depending on conditions. BD kicker (short) skins worked well, but I take tape just in case (and a suitable ice hacking screw driver- not knife). Hi Paul, what do you think about mounting Freedom to a pair of Kaestle BMX 115 193cm? just checking in again after 5 years, and invention of the 22 Designs Outlaw & Meidjo (neither of which I have ANY experience with, although we would of dreamed such dreams in the 80s & 90s…). I have been skiing NTN Freerides and Freedoms with zero problems for at least 5 years. Love ’em. Not doing much BC (actually some on both of these “heavier” rigs), or simply using my 75 mm set ups). I just want to say that I ski the Freedoms on lift service because they seem just as bomber, yet lighter. Bought the Medijo, weight a revelation, put them on an excellent pair of touring Movement Skis. Exceptionally light set up and little tour resistance. No ice build up of note. 1) Needs fiddling to find right tele spring tension, or even put in the extra stiff springs in supplied with them (I did not as I am light, small and weak). Do this fiddling before a bigger trip. 2) Bindings are awkward to get into, especially off-piste in deep snow, more than once I ended up chopping a mini platform and blowing like stink to get snow off binding, to get the pin techs in- all the more awkward with ski brakes. However, its the same problem with any pin binding, or any binding in reality. Think I’ll stick with the brakes as I don’t like the idea of leashes (even avalanche rated) in an avalanche, as they are so variable and sometimes unpredictable. 3) Slightly worried with robustness of the parts? However I have not had, or come across breakages; guess they must be pretty robust as a friend of mine ripped his M2 out of the skis (not the fault of the binding!). Lately I have been skiing them in preference to my Freedom- I have done this automatically, without thinking about it; actions speak louder than words? Looking forward to trying the 22 designs Lynx. Tele is alive and well! Oh what fun! Off to Austria now (with both Meidjo 2 and Rottefella).